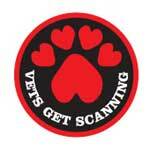 Vets Get Scanning for Microchips in New Patients. It may be the only way a stolen dog will be returned to its rightful owner. Click here for more information. The rescued pets are kept in foster homes mainly in the Poole area. If you are interested in adopting one of them or would like more information please phone Jayne on 0773 6176613 between 11am and 5pm. We will rehome dogs and cats to Dorset and the surrounding counties: Isle of Wight, Wiltshire, Hampshire and the Channel Islands, and further afield, home checks and circumstances permitting. 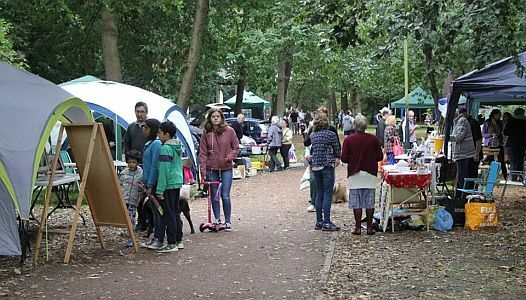 Click here to see photo's of the Bark in the Park Fun Dog Show at Fishermans Walk, Southbourne, 27th August 2018. Scroll down the page to see all the photo's. When Jayne discovered that puppies born in council pounds were being killed because they could not find homes for them she setup Pound Puppy Rescue. Having rescued the puppies she could not leave the hundreds of adult/ancient dogs and cats, and the kittens at the pounds to die just because they did not have a home to go to. Then she found that breeders would kill their rejects so she took those in too. AND then there are the other animals! We do not have a 'rescue centre'. The pets stay in foster homes looked after by our volunteers in the area around Poole, Bournemouth and Weymouth, Dorset until they find a suitable home. Hundreds of healthy dogs are being killed in Wales and Yorkshire every week for want of a home. I am told that some councils in Wales do not even try to rehome strays - if they are unclaimed after 7 days they are killed! If you think you can help by fostering a dog or cat, or fund raising or just advertising Pound Puppy Rescue in your local shop please phone 0773 617 6613. Chappie dog food: Chappie is very good for dogs with digestion problems. If you would like to donate some (tinned and dried) for our poorly dogs please bring it along to our Bazaar or other event. Pound Puppy Animal Rescue survives on donations of food, and money to pay vet fees. Our account at the vet is well into four figures - that is debit not credit! If you would like to help a dog or cat during its stay with us or if you have food/equipment/money you would like to donate then please e-mail or phone us. Any money donations are gratefully received and should be sent to: Tom Mowlem, Vets4Pets Veterinary Surgery, 5 Victoria Place, 706 Wimborne Road, Moordown, Bournemouth. BH9 2EG, with Pound Puppy Rescue on the back of the cheque. Credit card donations can be made by telephoning the vet on 01202 635160. Please e-mail jayne4@poundpuppy.org to let me know that you have made a donation. You can also make a donation via Paypal. Click on the Donate button below to go to our donation page. If you have any ideas or suggestions regarding fundraising, or items that can be used for fundraising please phone Jayne on 0773 6176613 between 11am and 5pm. We do not give the animals away. A donation that we set is required and is not refundable. We need it to help pay the vet. We do not employ anyone. We cannot give you a job or provide you with work experience. To keep costs down we prefer you to phone us. Please only phone between 10am and 6:30pm. We like to sleep sometimes.